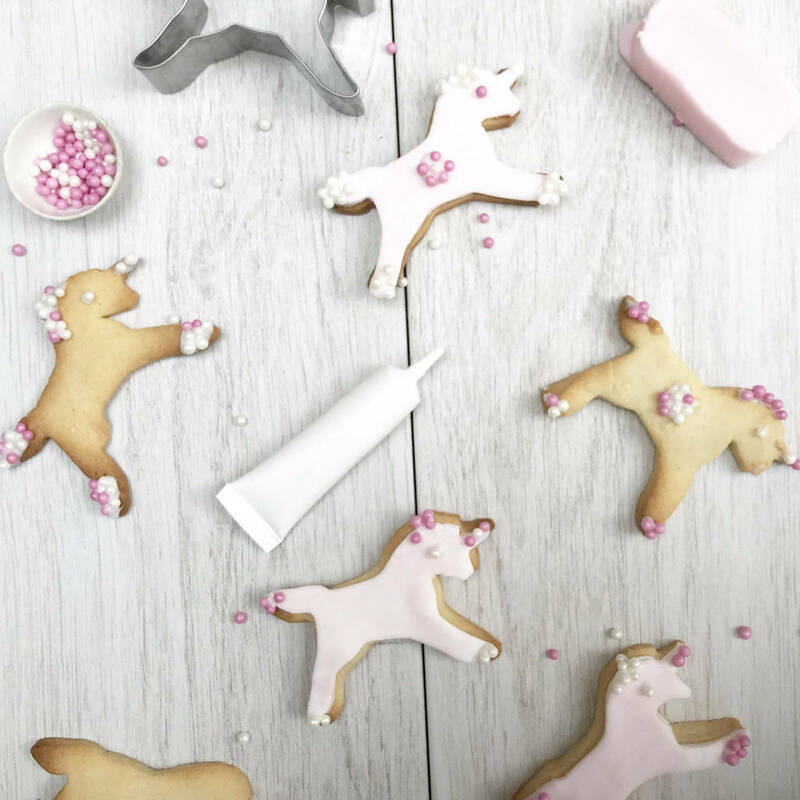 Watch little ones enjoy baking and decorating with these gorgeous unicorn biscuits. 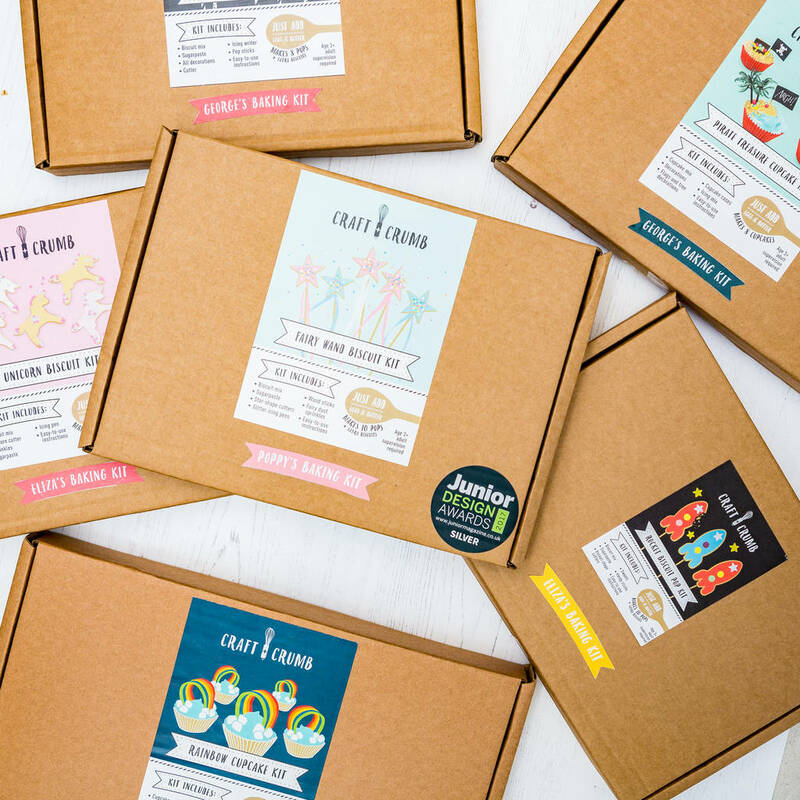 Each of our biscuit baking kits come beautifully packed up and includes a free personalised label on the front making them a really special gift. 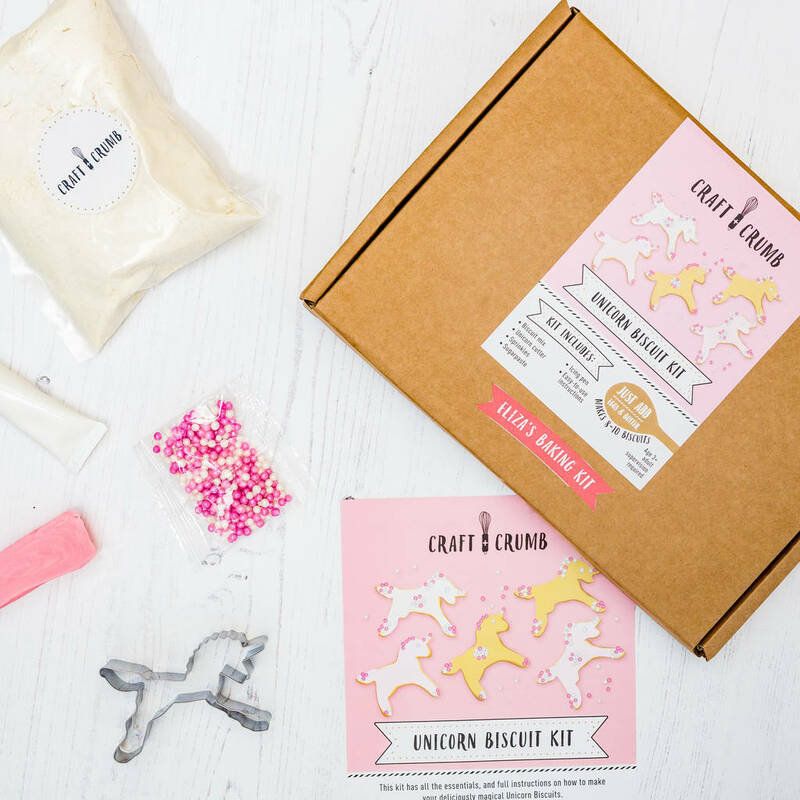 Each kit comes with everything needed to make 10-15 unicorn biscuits as well as the extra sparkly pearls to decorate. 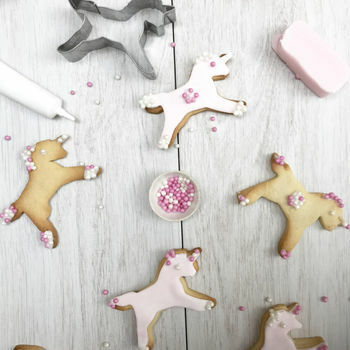 These unicorns are popular gifts or as homebaked, ready to eat as gifts for those you love! 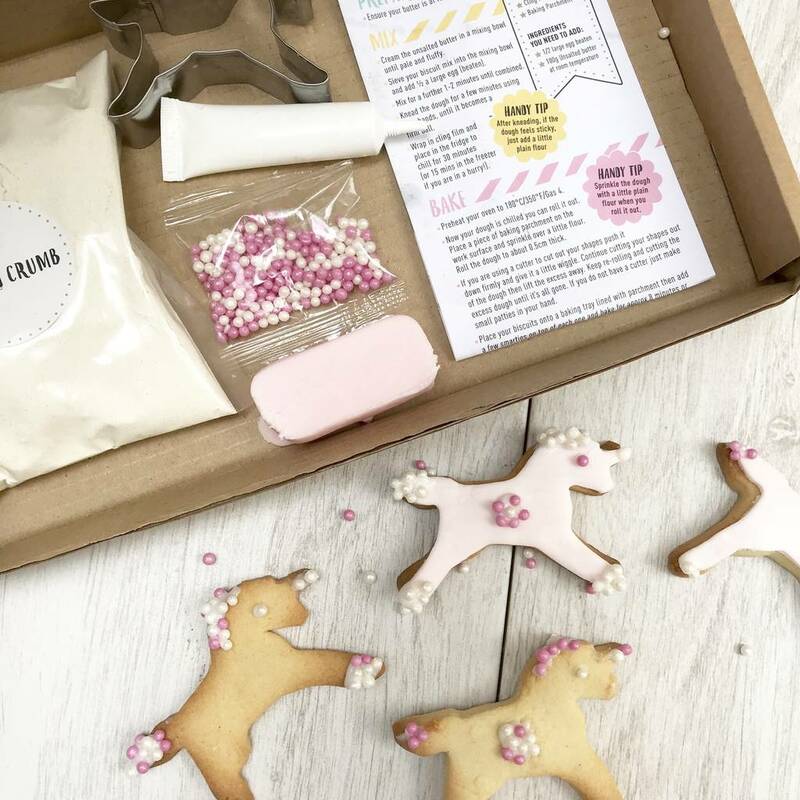 Our biscuit kits are great to have tucked away for those rainy days when sometimes only baking will do! This kit has a shelf life of approx 4 months from date of purchase provided it's kept in suitable dry conditions. Biscuit mix: Plain WHEAT flour, Caster sugar. 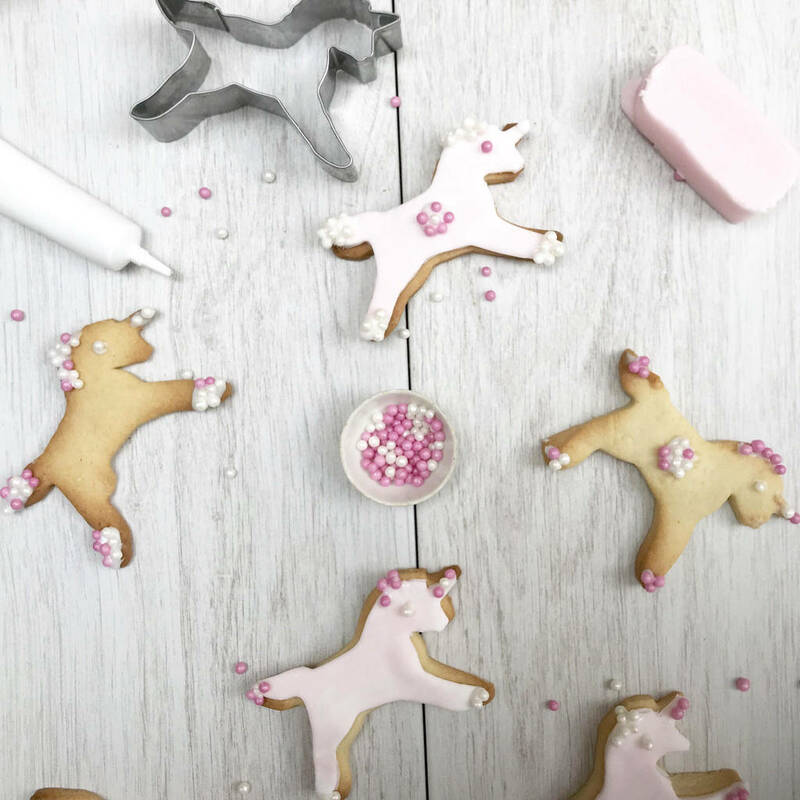 Sugarpaste: Sugar, Glucose syrup, Palm oil, Water, Humectant: E422, Emulsifier E471,E472c; Stabilisers: E415, E466, Preservative E202, Flavouring, Colour E133, E120E122 (this may have an adverse effect on activity and attention in children.